On a sunny Thursday morning, lower school students stepped out of the Sanctuary for an unforgettable experience. 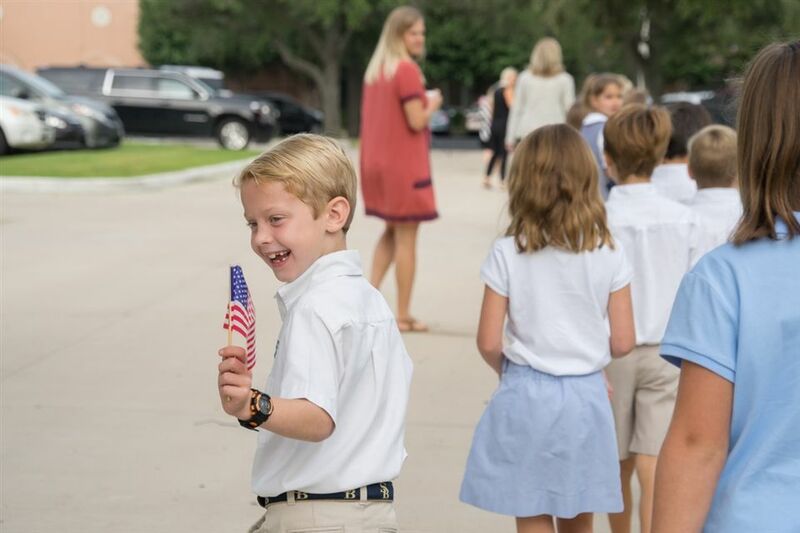 Each year, lower school designates one chapel service to educate students on the events of September 11, 2001, and to remember. During this chapel, students sing patriotic songs, read an appropriately-themed story and show gratitude with a reverent prayer walk. Students, teachers and administrators walk in an organized line across the SBS campus and proudly wave American flags. In addition, students and teachers are encouraged to pray protection and blessings over our country, while praising God for the gift of living in a place where they can freely worship Him. According to Cate ‘29, "[The Freedom Walk] was important because it showed that we have freedom and we have a great country." CLICK HERE to view photos from the lower school Freedom Walk.